Two and half years ago I wrote about failing literacy in America, caused in part by evolving digital media types. The average citizen is losing the ability to understand the written word, and cannot discern quality information online based on text. Never did I imagine that a crisis would come to a fore as quickly as it has with this year’s fake news crisis. Since then we have witnessed the election of Donald Trump, Pizzagate, and the general rise of digital fake news. Today, any persona has the ability to dismiss any other group or media outlet as biased. The ability to widely disseminate bad information and have it shared with trusting peers creates what is now being called a post-truth reality. There is no fact that can withstand the battering of the adamantly wrong and intentionally incorrect. That is scary, my friends. The average American is not prepared to learn or understand information online. A recent Pew study showed that sixty percent of American adults don’t know whether the information they are consuming online is trustworthy. There is no obvious answer for our digital literacy crisis. People are not questioning what they read online. Worse, they are unable to prepare their own children and grandchildren to discern quality information online, either. This leaves the imparting of media literacy skills to our schools. As someone currently working in the edtech space, I can tell you that America’s schools are just coming to understand how to best implement online learning. Some schools are very good at it, others don’t even have basic computing devices for their children. Is this information from a credible source? What data is providing the basis for this story? Is the research reliable and based on statistically relevant data (whether it’s a video of an event or a study of thousands of people)? Are there similar stories and data that support the source? These are basic questions that the average American doesn’t ask online. Instead, we simply trust the source who shared that information. Whether it is a peer sending a story via email or a social network algorithm, the online trust economy created by digital media channels has demonstrated its truest weakness. As social media has risen and traditional media have lost market share, news outlets have moved to tabloidesque journalism from formerly trustworthy brands. We have also seen media fracture to cater to smaller demographics, which in turn has created polarized community groups. Most media outlets serve their smaller constituencies with sensational stories drummed up to captivate the human mind. Click bait rules the day. A younger, smaller media corps with less seasoned editors behind them now write sensational headlines with shaky content. These stories lack the factual quality that even a second tier news outlet would have demanded two decades ago. Unfortunately, people fall prey to the sensational. The human mind processes it as entertainment and humor, and then latches onto it as fact. The human mind is naturally attracted to the sensational, and when they share this “news” they receive endorphin affirmation from likes and comments. Then there are those who seek to sway minds with fake news, propaganda disguised as tabloid news. These stories have been deployed through the interwebs, and in actuality through the centuries, with great damage to society. Today, sensational and fake news stories spread like wildfire thanks to the Internet. Facebook has moved from its original intent to connect people to a viral mechanism to misinform them. A cycle has been created with likes falling along party lines. With bad information comes unwieldy results. And here we are, a world where the very truth itself can be debated and hucksters can use propaganda and smeer tactics to convince the public they are right. In the wake of the Trump election, I found myself needing to read more my then narrow group of political news media, primarily CNN, the New York Times, and Politico. I started reading more conservative outlets, the Wall Street Journal and Fox News, as well as the Washington Post and USA Today. In addition, I tried Breitbart News but found it to be so malicious and ridiculous that I could not stomach it. Don’t get cocky, liberals, I could say the same thing about Jezebel. CNN: Sensational and over the top. Pure tabloid, almost none of it seems well grounded. Fox News: Sometimes grounded, but extremely slanted towards the conservative. Runs a fair amount of link-bait chum that leans towards the malicious. When Fox owns a story favoring moderates or liberals, you know it’s true. They tend to be slow to publish stories that show Trump in a negative light. New York Times: Very grounded, but written with a liberal slant. There’s great journalism here, but like Fox, when a story favors the conservative, it tends to be when the facts are in their favor, AND the story is big. POLITICO: Pretty balanced in its news coverage with the exception of representing the political establishment (as a trade rag would be). So Trump coverage has been, but is increasingly less so, shocked and sensational. The zeitgeist has been accepted. USA Today: The rare moderate masthead, USA Today plays it in the middle, and reports when facts are available. A fair barometer for breaking news. Wall Street Journal: Similar to the New York Times, this paper is very grounded with great journalism, albeit a conservative slant. The conservatism on display here is that of big business, and as such it remains committed to facts, and will print a story favoring liberalism or anti-Trump if it is proven true or if it is pro-business. All political stories seem to be on delay here, a clear sign of careful vetting. Washington Post: Grounded, but not as much as the New York Times. It still has a penchant for running the sensational, and can’t resist a good Kelly-Anne Conway quote (yuck). I take their anti-Trump slant as a partisan view. As a result of broadening my spectrum, I do not trust CNN anymore. It’s pure junk. I also am not likely to trust Fox News and sadly, I don’t trust the Washington Post as much as I used to. In addition, if both the New York Times AND the Wall Street Journal agree on a story then it is almost certainly true. The biggest take away from my informal experiment was the lack of integrity several of these outlets have when it comes to delivering “news” to their stakeholders. In the case of the more tabloid-esque outlets, it’s clear clicks and eyeballs matter more than the quality of journalism. They are purveyors of the sensational. Perhaps more disconcerting, these outlets are some of the most consumed news producers in the United States. The study does not include the less reputable outlets that spawned the fake news crisis debated so vigorously over the past two months. We have seen the results, and they are wild. Though people read and watch news online, because of their information sources, they remain ignorant. And worse, they are adamant about being informed. To date we’ve seen Facebook offer algorithmic promises at resolving the issue. But given the intrinsic desire of the human mind to fancy the sensational, will it be enough? I don’t think so. In the end, we must look at the root cause. And to overcome, we must come to know ourselves. We must educate ourselves to discern online information and then demand quality. Digital literacy is the answer, in my opinion, not algorithms to protect people from their own inability to understand information. Featured image by yosuke muroye. I wrote a post a couple months ago called watching the Content Marketing Trend Fade to Black that received a lot of attention, mostly positive. Some of the feedback included rebuttals (like this podcast from the Content Marketing Institute), which have to be anticipated when you write a post like that. Let’s handle the first one as it comes from an incorrect interpretation of the original post. There is a difference between content itself as created by both everyday citizens and marketers, and the content marketing trend. The post clearly deals with dwindling enthusiasm for the marketing industry trend, and states that content itself will only continue to grow albeit under different trend monikers and buzz words. So, I actually agree with rebuttal one, and always did. Rebuttal number two is a much more dangerous myth. Many marketers believe that if they create great content, then they will succeed. The best content always wins, they say. This is not true, and frankly never has been. I’ll go a step further: Even if you have socially validated content (i.e. popular online) it still may not succeed in generating marketing outcomes. Attention is not ROI. Attention can help build brand, sometimes. But even Super Bowl ads — arguably the most sure-fire way to garner tons of attention for your content — do not guarantee a successful result. It’s important to understand why the best content does not win. Otherwise, you will build many beautiful things that will remain unused. Cormac McCarthy is widely recognized as a great American author, and Blood Meridian is considered his masterpiece, a savage novel that spits up the conventional western myth in dystopian fashion. Published in 1985, Blood Meridian is often listed as one of the top 20 novels of the 20th century. But the book did not sell. At least, not until Cormac McCarthy’s later commercial successes like All the Pretty Horses (1992) and The Road (2006). In fact, at first it only sold 1200 copies in hardback. Instead a more commercial western novel released that year — Larry McMurtry’s Lonesome Dove — won the hearts and minds of American readers. After the Border Trilogy and the movies that ensured, Blood Meridian enjoyed pull-through sales and wider recognition for its incredible story. But even after the lift brought about by those powerful coattails, the novel is much more of literary success than a commercial one. Blood Meridian epitomizes best content not winning in business. To be clear, business is about sales. Comparing western to western, Blood Meridian reads like a fricking Ferrari next to the safe yet lovable Lonesome Dove, a Honda Accord of novels. That’s not to belittle a Honda Accord, or McMurtry’s Pulitizer Prize winning best-seller. But time has proven Blood Meridian to be the all-time critical masterpiece of the two novels, while Lonesome Dove is the commercial winner hands-down. Why did this happen? One word: Distribution. McMurtry was an established author with a reputation for good works like the Last Picture Show (1966) and Terms of Endearment (1975). As a result, Loneseome Dove was well distributed much like an unproven Stephen King novel would be well distributed and reviewed today. On the other hand, McCarthy had some literary successes, but was not a proven commercial quantity. In fact, in 1992 — before the publication of his first commercial success All the Pretty Horses — an article in the New York Times noted that none of his novels published to that point had sold more than 5,000 hardcover copies. Once commercial success arrived, so did distribution and reviews as well his own Pulitzer Prize for The Road. But none of McCarthy’s books have been as highly regarded as Blood Meridian. Yeah, but that was in the 80s before the Web, social media, and email. Now with social media good content can rise to the top. No, it’s not that easy. Anyone who has had any success online knows that it takes distribution. Distribution through your site, through a cultivated community that shares your information, through your own networks, through a sizeable email list(s) that actually opens your emails, through influencers and media that share your story, through native ads, and on and on. Content must be shared and delivered. Yeah, but when I focus and write great content it always performs better than my mediocre content. Of course it does. A ripe tomato tastes better than one that is spoiling. I would even agree that if you don’t create at least above average content, your effort will fail before it even starts. There is just too much noise out there! But does a secondary player or unknown person’s outstanding content perform anywhere near as well as a market leader’s above average content? No, that’s because distribution is as important, if not more important than ever before. The amount of posts and related content is flat-out overwhelming now. It’s almost impossible to rely on the best content to rise to the top. People are increasingly looking for trusted sources — even algorithms in networks like Facebook, LinkedIn and Twitter — to tell them what’s important, rather than seeking out the best content possible. Yeah, but I know a company that has great content, and they are getting incredible double digit returns on new leads and revenue. Show me a good content marketing effort, and I’ll show you an organized distribution strategy. In fact, I’ll also show you a relevant product and service offering, and brand that people are at least moderately interested in. But in the minds of some digital media mavens, the success belongs to the content. In many ways, that’s like giving credit for a great dish prepared at a restaurant to the superior saucier working in the kitchen. Much more goes into the entire dish and restaurant experience. This is my real beef with best content myth and the overall great creative meme. You can write the Eiffel Tower of blog posts, but it will fail if no one sees it. Increasingly, less people share content. Half of all posts get shared eight times or less, 75% get shared less than 40 times. That’s because there’s more and more content. This decline is affecting everybody, even top content creators as evidenced by the above chart from Buzzsumo. Mary Meeker’s annual Internet trends report shows a 20+% increase in Internet traffic year-over-year. It also shows a 75% year-over-year increase in consumer generated shares. ALl of these increases equal more noise year-over-year. Yet, while the average amount of content dramatically increases every year, the actual time people spend online is not increasing that much. We are talking about single digit growth. You can only spread the peanut butter so far. This is the very embodiment of content shock. The time shortage also provides the raison d’etre for why data and analytics have become necessary. Data drives successes now. Intelligence online shows you who is amplifying content and how to reach them. Of course, with data you can understand whether or not your brand is increasing its positive equity online. It shows you where customers are. Data can help you to identify which prospects best match your customer profile, and how to intentionally focus your efforts on them. You can use it to build the programmatic triggers based on algorithms to serve the right content (inbound or online) at the right time. I don’t think this is a great secret. Analytics has always been mentioned as the underpinning of great content and distribution. Yet if you read the case studies of great content these days, data and distribution are usually not mentioned. And these are case studies published by well-established content marketing authorities. This is how myths get perpetuated. I guarantee you that if you pried under the covers, every great content success uses analytics to optimize its content, and has excellent established distribution channels, earned, owned and paid. Most use marketing automation tools, too. Winning is much more about the mechanics than the great content chefs would lead you to believe. I remember speaking with my friends at Navy Federal last fall about their content. They saw a 14% jump in inquiries based on a content campaign via social media. Because of the increase in volume, they moved to enterprise grade social media management solutions and analytics tools to monitor conversations, log service interactions, and measure the impact of these conversations. They ended up optimizing their efforts and focusing on the channels and tactics that were driving the most customer interactions. The financial results justified further investment. The content was very good. The optimization and tailoring was even better. More and more companies deploy content marketing tactics now. Yes, you can have the Inbound Marketing success that the Neil Patels of the world profess. But it takes a hell of a lot more than just great content. Make no bones about it, the best content needs amplification. Stakeholders are inundated with messages, updates, ads, and other forms of content, both corporate and peer-to-peer. From a corporate standpoint, content is a product. It serves a stakeholder. Without the data to become precise not only in distribution, but also in targeting and content creation to actually resonate with the stakeholders that matter, that content will not be found. To succeed, marketers need to go beyond content marketing. They need to create marketing ecosystems that blend precision targeting, product marketing, engagement, branding, distribution and yes, content. So, no offense to the best content crowd, but your 10 out of 10 stars quality blog post with little distribution won’t perform anywhere near as well as one might think. Good content will be read and shared as much because of distribution as quality. Good is good enough, but even the good will dwindle with ever-increasing content volumes. Precision and discipline driven by data are the answers, not just creating “the best content.” On to the next unicorn. Content isn’t going anywhere, but the content marketing trend may be disappearing much quicker than we think. This trend movement more to do with marketers failing to deliver results with general content than the role branded content has on the Internet. The B2B marketing crowd is moving beyond the content marketing trend and adapting account based marketing. Advertising crowds are adapting real time and programmatic marketing. Both the account-based and programmatic trends use content, but with much more precise data-oriented methods. And traditional social media and PR types, while using content more for thought leadership and media relations, are seeing greater gains in the influencer marketing realm. This is probably an obvious development as PR has always been better about creating third-party or earned media coverage rather than creating content. I agree with Mark Schaefer that there is an increasing exponential glut of content being created by many parties online. The increasing content glut makes it hard for good content to be discovered. But to be fair, most corporate content is not good. This happened because most communicators lack the ability and/or the discipline to incorporate data intelligence — e.g. information about what their audiences care about — and create well crafted customized content. The result is a perception that the content marketing trend is waning. To be clear, content marketing didn’t fail. The marketing and PR industry did. So we’re starting to move on to a new series of trends and buzzwords. And I fully expect the industry to beat those horses into the ground, too. Content itself will remain and continue its growth online, but instead of being the hot “strategic” touchpoint of digital marketing, it becomes more of a role player. Perhaps that’s better anyway. Like public social media, you can have too much of a good thing. You could literally say content is everything. But in the end, it is the customer relationships that matter. Content is a means to communicate, and is subservient to that ultimate barometer: Does it help or harm relationships? My friend Steven Slater recently began working In his new capacity he places senior marketing executives at large companies. Steven told me about the new position at CommCore‘s 30th Anniversary party (pictured above) last month in Washington, DC. While we chatted he mentioned how technology was providing some of the greatest challenges for companies seeking capable marketers, ad for potential marketing executives trying to find work. I followed up with Steven, and asked him some deeper questions about these difficulties. Here are his insightful answers. GL: What is the biggest challenge facing company’s trying to recruit able marketers? SS: It would be hard for me to identify one challenge when there are multiple, which in every one of my cases, are directly or indirectly related to marketing technology. Senior marketing leaders are facing increasing pressure from leadership to make the most of technology investments – to achieve company-wide objectives that the technology was promised to deliver. Coupled with this, senior marketers are uncertain of skills needed. And, believe it or not, some hiring managers are finding frustration hiring and retaining junior staff to perform in less technical marketing roles, because new entrants are rushing to acquire technology cred to their resumes. GL: Why are marketers struggling so much to embrace technology tools? SS: There are a combination of factors, most of which I believe are intimidation, complexity and cost. Given these, it’s often easier to ignore the issue, or take baby steps, as I’ve heard it said. As an aside, ‘baby steps’ creates difficulty scaling, because hard won added resources yield only incremental capabilities. A)	The tens of numbers of competing vendors with tools–online applications, bolt-ons, stand-alones, with myriad capabilities for Customer Relationship Management, Marketing Automation, and Content Management Systems, among others, serve to create daunting decisions. B)	There are numerous capabilities within one system, which alone are rarely used to capacity. Then, some companies have multiple, integrated systems, connected to create seamless capabilities from demand generation to lead generation to funnel conversions and to close, and more. These have somewhat complex processes for data owners with hand offs and usage rules. Other companies have get even more sophisticated an integrated system, to systems of systems, often tied in some fashion with Microsoft, Oracle, and SAP platforms, spanning enterprise wide with integrated cross operational capabilities. C)	Marketers are often the front line of managing these systems, putting in place the controls for usage and figuring out ways to avoid corrupting data, so the output is remains of value. D)	Marketers are also responsible for the knowledge and resources that go into norms and best practices for social media. And they must ensure through metrics that resources expended for content generation achieve intended results, and that technology and processes are in place to capture the data, and the entire operation is continually improved. E)	Most often marketers also are responsible for data collection and analysis, including from their own systems collecting any and all data generated from inbound and outbound communications, with additional capabilities to mine market intelligence, competitive intelligence, discover market opportunities, and to test concepts and forecast results, along with other predictive measures leadership can use to reliably deciding how to invest for growth. GL: How can companies find more capable marketers? SS: The answer is not so straightforward, and in my opinion, the biggest conundrum. The technology has evolved more rapidly then available documentation (economic-based) that would help inform and advise HR professionals who in turn could advise hiring managers. A recent statistic cited nearly 50% of marketing hires failing in six months due to mis-alignment of skills to business needs and requirements. This occurs on both sides of the hiring equation between a candidate and hiring managers. The dialogue goes something like this: A candidate says, “Yes, I can do that,” and hiring managers believe a ‘marketer’ is a ‘marketer,’ so he/she should be able to perform. But today, no two marketers are alike. The Bureau of Labor Statistics, which defines and categorizes the U.S. workforce by jobs, titles and wages, have yet to tackle today’s marketing roles. Meantime, academia continues to churn out marketing candidates that are the same as yesterday’s marketing candidates. Based on a 6-month study that I conducted this year, I was able to determine based on hundreds of marketing job requisitions, that hiring marketers truly need candidates who have: sophisticated statistics in order to develop and test scenarios with volumes of collected data; economic understanding to identify internal and external market influences and pressures to anticipate buying patterns, to unwind business models, and to help anticipate market cycles; an analytical ability for ways of gathering and measuring useful data, and overall, develop order to data chaos; strategic thinking to help align capabilities from technology to organizational objectives; and not least, the ability to compile compelling presentations that leadership can easily digest for decision making. In practicality, though, hiring managers should focus on those who think strategically, are comfortable with process, or learning process to help it evolve for efficiency without sacrificing quality, and who posses a “have-no-fear” approach to experimenting with technology, yet who starts their exploration with a mindset of a desire outcome. GL: Is there an answer or a solution to the capability gap? SS: Yes, I believe the solution wrests in the hands of academia. Their entry requirements, curriculums, and graduation requirements must better align with employers’ hiring needs – along the lines of marketing is now a much “harder-skill” discipline then it was taught. GL: Do you see technology continuing to create this disparity or will the next generation of marketers be better at adapting to new technologies and methods? SS: I have little doubt the next generation will be superior, primarily because far fewer systems will exist, and skills, therefore, will be better defined, categorized and quantified. To me, the past is a very clear barometer of the future, and it has proven over time that technology tends to narrow to a few, manageable number of competitors. When that occurs in our case for existing marketing technology, then a near perfect alignment of skills will occur, and the gap will disappear. Case in point, at the turn of the 20th century, there were dozens of U.S. automobile manufacturers, yet only three survived 100 years. The big three U.S. auto manufacturers compete with few other American companies due to the high barrier to entry. The same will occur with the technology used by marketers. If anyone remains unsure, I challenge them to find a 2015 resume listing skills in Wordperfect, Dbase, or Lotus. Steven Slater is a marketer and business developer who has staffed, built and run marketing departments for commercial and non-profit organizations ranging in size from $1M to $5 Billion. As the field of marketing has evolved into a digital environment, he is focused on improving marketing performance by connecting hiring managers with those who have a unique set of skills and capabilities. A perpetual student and practitioner of marketing innovation, he has spent the past year studying the widening gap between skills and organizational needs, using the findings to chart a mix of required skills–the ingredients to marketing success in a digital age. Steven is part of long-established Employment Enterprises, Inc. and works alongside people and services from Temporary Solutions. This helps him offer marketing people skills as contingent-consultative or permanent staff – or, in other words, the right skilled individuals, at the right time to solve digital challenges. A couple of weeks ago, I attended TrackMaven’s Spark conference. There were many discussions on using digital tools to market, backed by several brands showing their best practices. Using data to ensure that a marketing program doesn’t simply mimic its competitors’ efforts or general best practices was a central thread. I really appreciated the conversation because it addressed a common marketing mistake, doing what others do because its popular or it worked for several others. Digital communicators live in a world of social media best practices with the added pressure of executives seeing success stories unfold in the media, then wondering why they, too, don’t have a successful Instagram strategy. Communicators scramble to add the same type of marketing and outreach, whether it may be influencer generated content or Snapchat accounts featuring a daily non-wow moment. They ape the best practices espoused by social media blogs, blogs often written by people who have rarely done it for anyone or anything other than their own personal brand. This is catering to the lowest common denominator, doing what others do. It remains one of the greatest dangers in marketing and PR. Catering to the lowest common denominator offers a whole series of safe outcomes that make it an oft chosen method of marketing. You can appease internal stakeholders by showing that you are doing what the competition is doing. Evidence from the social media darlings lets you claim that you are indeed following best practices. Unfortunately, it does not account for customer fatigue with the tactics, or market position leadership. Like a false pot of gold at the end of the rainbow, the outcomes fail to meet the illusion. Your audience is non-plussed at another “me, too” campaign. Soon the executives become non-plussed with your second or third or worse place performance. They see no tangible results. Share of voice, in-bound traffic, and other performance metrics tell the tale of a laggard instead of the hoped-for leader. The best most strategic marketers go further, and innovate with their communications efforts. Often innovation is disguised as incremental change and experimentation, but that’s how evolution happens. In that vein, there’s never been a better time to be a marketer because there is so much data out there to inform these changes. Data helps by telling you what your competition is doing, where they are generating share of voice, and why. More importantly, it lets you see why and where your content resonates and how it under or outperforms your competition. Data lets you A/B test little format changes, for example number of words or characters, red versus yellow visuals, etc. Understanding the lay of the land allows you to apply creative and try to better the situation. And when success occurs you know, it, and can then expand your marketing to meet the community with the right types of communications. Of course, TrackMaven‘s tool helps marketers do these things, and thus the Spark message fit the. But it’s a good message, and one that should be repeated across the space and in university classrooms across America. I remember when we strategized at Vocus about our content, we would look at competitors in the space. If our content was the same as theirs, we would challenge ourselves to go further. It was not enough to do the same as other successful brands. The only way to escalate and elevate position was by going beyond “me, too” approaches. Go beyond the lowest common denominator. Measure to elevate your creativity and your overall marketing game. 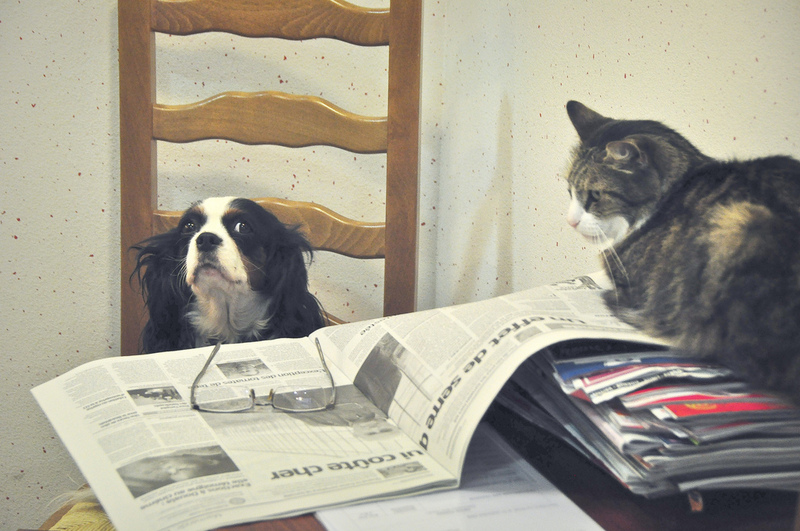 Have you read any recent content marketing articles? Today’s articles feature shiny objects to distribute content through (hi, Snapchat and Periscope) and platitudes about impact. Largely trend pieces with statistics, they fail to help marketers grow and become better. Worse, the new account-based marketing trend — which is just hyper-targeted data-driven content marketing — focuses on precision provided by analytics, but not the technique used to create niche content. To be clear, a marketer’s job is to connect with and compel people; usually, but not always, their customers. To do that, content needs to tell a good story. In many ways, trends like social media tools and data analysis provide new powers for marketing, much like an electric drill works better than a hand crank. So we have a bunch of marketers walking around with power tools drilling holes in a wall hoping they hit the right spot. Even though they have data and the latest networks, they miss the mark more often than not. They don’t understand the wall and its dimensions. As a result, marketers destroy the wall. What we have is a data problem. Too much focus on data and trends, not enough on creating compelling content. To be crystal clear with this post: Data and trends in content marketing are nice. They inform creativity. They do not replace creativity. Results in communications are contingent on compelling stakeholder groups — by groups of ten, by the thousands, or entire market segments. Regardless of where the content lies in a company’s user experience, it needs to impact someone’s journey. That is true of the consumer, that is true of the business stakeholder. Why else would someone act? Buying is an emotional decision. If your content doesn’t create positive emotion for someone — even if it is just allaying fears — then you have a problem. I love media and how it empowers us to communicate with each other. What I find most interesting is how people use those media forms to connect, and the outcomes these connections create. Why was that Periscope video successful? How did that article help someone come decide to engage with the “build your own” tool on your site? Why did that series of personal case studies increased conversions of your software product? Stories. Content must tell stories or help people envision their own narrative. The media changes, the methods allow for more precision, there are more distractions now, but once you get someone to try your content, it has to compel them. Let’s use another analogy: Just because Google Maps can tell you the fastest route, doesn’t mean it can teach you how to drive. Your trip is not guaranteed to be timely, much less safe. In my mind, data is beautiful. It provides a great deal of research to inform creativity. It points out who the customer is (demographics), what they like, and which media they use. In some cases, it provides insights into their behavior, concerns and interests with a particular brand. What more could a creative want? This information provides the means to create content that moves the stakeholder. 1) Lame content: Corporate messages instead of stories, dry style (e.g. it’s safe and uncompelling), antiquated style (for example long text with no rich media), no personal story or connection, no style, etc. 2) Poor distribution: Including lack of email, lack of native ad-spend, non-engaging social media, using the wrong channels, etc. Poor distribution has always been an issue, and it is becoming an increasingly difficult one. I highly recommend you read Mark Schaefer’s Content Code if this is concerning you. On the first issue, the actual content continues to be a problem. Style counts for a lot more than you would think. Data can always be used to better steer a communications effort, but the effort must be made. Data alone cannot deliver compelling media. Some use an advertising approach, using imagery to tell, and words to compel (Think General Electric). Consider the traditional social media approach of first person experiential tales (Gary Vaynerchuk has to be the best at this in our business). There’s third person journalistic storytelling (Adobe does this well across all properties). You have wonky, funny joke telling (Hello, Captain Obvious!). Others provide historical context (National Geographic uses historical storytelling to sell adventures). These brands use available data to inform their storytelling approach and build something compelling to people. It’s not enough to create targeted brochureware for what they believe people need to hear. Content really needs to interest and then resolve the stakeholder’s raison d’etre. This is French for reason of being. Why are they investing time? The content better fulfill that reason or the brand will lose the prospective customer. This ethos is at the heart of the current user experience trend driving branding and digital design. Trends come and go, but corporate and marketing communications [oops, content marketing ;)] always lives and dies based on stakeholder response. Response is the ultimate metric that every manager ultimately judges a communications program by. No response means changes are in store, from the micro to the macro. That is why it is so necessary to build a compelling story that creates response. This is true regardless of purpose: Launch or customer experience, micro account-based level comms or social network-wide (organic and paid). Marketers better tell a good story that the audience relates with instead of highly targeted noise.